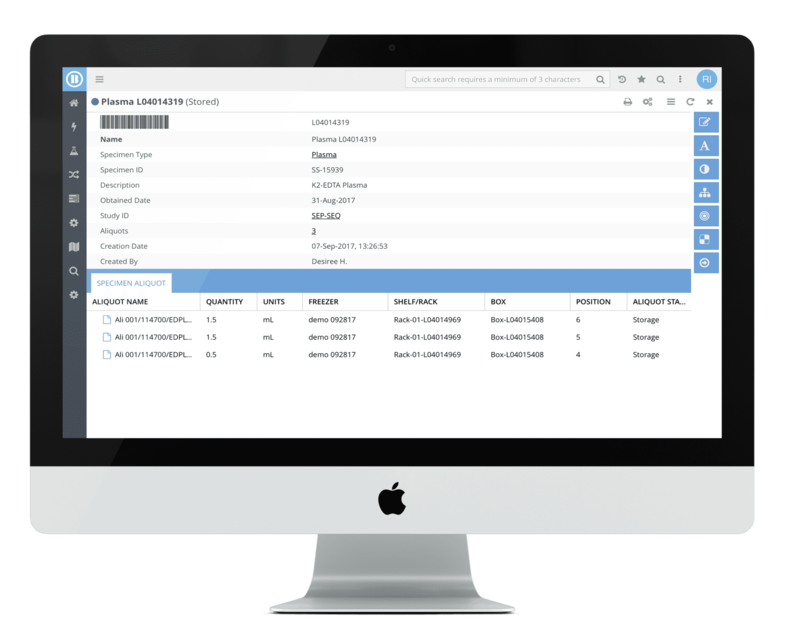 RURO, Inc., a leading provider of LIMS, LIS, RFID and other laboratory solutions, announces Limfinity® version 7, the latest iteration of the company’s information software platform. RURO solutions, including LimitLIS®, BiobankPro®, Limfinity® TSI, and Study Manager™ are all built on the Limfinity® platform. Since its last major release, RURO has used aspects of each Limfinity® development project to inform the evolution of the platform’s ease of configuration and performance. Limfinity® version 7’s final design and extensive feature enhancement list was particularly inspired by collaborations in pharmaceutical and commercial clinical testing fields. The new version of Limfinity® allows RURO’s product development team and even some its trained customers to create new solutions faster and easier than ever before. RURO continues its dedication to version-to-version compatibility with the latest release. Existing customers should expect minimal interruption or change to their Limfinity® environments as they perform the upgrade to version 7. Limfinity® version 7 users may find the simplified user interface new but also highly accessibility. Similarly, the redesigned Workflow Editor is a significant enhancement. Common in all version 7 enhanced content is purpose built simplification, enabling faster system performance and easier configuration. For more information, including a full list of Limfinity® version 7 enhancements, visit ruro.com, or call 888-881-RURO (7876). Founded in 2006, RURO specializes in Laboratory Information Management and RFID Solutions. Limfinity® is the laboratory software platform used in many of the world’s leading research programs, clinical operations and biobanks. RURO is third party ISO 9001 certified. Visit www.ruro.com for more information.